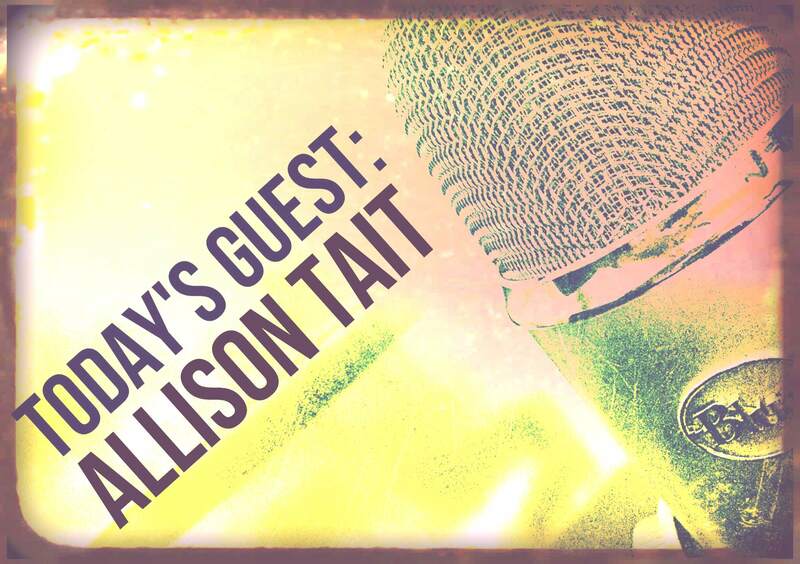 Please welcome Allison Tait, a multi-genre writer who has more than twenty years of experience in magazines, newspapers, and online publishing. The Mapmaker Chronicles is her first series for children, and it is winning her a legion of fans. Book one was Race To the End of the World. Book two, Prisoner of The Black Hawk, hit the shelves April 1, and book three, the final installment in this trilogy, will be released in October 2015. Connect with Allison on her blog, on Facebook, and on Twitter. I never imagined I’d be an author of children’s books. When I began writing fiction seriously in my late twenties, I took it all very…seriously. I was working as a features writer at a major women’s magazine and I approached my fiction in much the same way as I would approach an article. I looked around to see where my “market” might be and I decided I would write to “target” them. And so I began writing romance novels. I figured that they made sense for me—there were definite market segments, I had the right “voice,” I’d read shedloads of romance novels in my late teens… how hard could it be? Story ideas are everywhere and, as writers, we need to train ourselves to see them. Sometimes, they might not be quite what we expect – but that just makes them more exciting! As it turned out, it was a lot harder than I thought. I really struggled to stay within the set word counts. I either tried to stuff too much into the story and the romance disappeared into a series of “themes,” or I concentrated on the romance to the point that my couple was breaking up over breakfast and back together by morning tea. I wasn’t wrong about the voice though, and it did win me a mentor in a romance writing competition. On day one, she began suggesting, ever so gently, that I look at writing “bigger” stories. By the end of my six-week program she was bluntly telling me that romance wasn’t for me and I should try commercial women’s fiction. With nothing to lose, and two romance manuscripts consigned to a drawer, I took her advice and began the long and arduous process of learning to write ‘commercial’ fiction. I completed two full-length (90,000+ words) manuscripts, one of which went very close to publication and the second of which I was redrafting when—I had an idea. I have two boys, now aged eight and 11, and they are both fans of the “head-hurting” question. We have long-and-involved conversations about where space ends, how high the stars are, whether there are any places in the world that remain unexplored, which dwarf from The Hobbit I would invite to a dinner party… you get the idea. Several of those conversations, close together, led to an idea that left me with a strange, tingling feeling. “How far does space go?” asked Mr11, one night. “Nobody knows,” I answered. “Well, they had to go out there and find out,” I answered, distractedly, thinking about the pasta boiling over on the stove. But I’d never written for children before. I had, of course, read hundreds of children’s books, of all shapes and sizes, for all ages and stages, for myself and with my boys. I knew exactly the kind of story that we love to read around here, with good guys and bad guys, a journey, a mystery, and a sense of humour. Grand adventure stories that sweep you away from your safe, cozy bed and take you into other worlds. So I tucked that idea, the one that had given me tingles, into the back of my mind, and got on with writing my women’s novel. It nagged at me, that race to map the world, but I was busy pursuing other goals, and, frankly, I just wasn’t sure what to do with it. “Send me a synopsis,” she responded. At this point, I need to highlight the fact that I’m not a plotter. I couldn’t send a synopsis because I had no idea what was going to happen. And so began the wildest ride of my writing career. Writing The Mapmaker Chronicles: Race To the End Of The World was the most fun I’ve ever had sitting at my desk. I LOVE writing for children, and I might never have discovered that had I continued to ignore that crazy idea just because I’d never done it before. Two years almost to the day that I began that first draft of The Mapmaker Chronicles: Race To the End of the World, it was published by Lothian Books. Book two, Prisoner of the Black Hawk, was just published, and book three (the final installment in this trilogy) will be released later this year. And, having spent the last 12 months immersed in the Mapmaker world, I am now editing that adult novel, which is still there, waiting patiently. Sometimes we don’t choose the ideas – the ideas choose us. Embrace the head-hurting questions – you never know where they’ll lead you. Never ignore that little tingle, even if you haven’t tried something before and haven’t the faintest notion of where to begin. What “little tingles” and “head-hurting questions” have you paid attention to (that you’re glad you did)? Hallelujah! Thank you, Allison! What a refreshing message to read on a lovely spring morning (a description we’ve struggled to say up to now here in the mid-Atlantic). It’s refreshing because so much of what writers, particularly new writers, hear these days comes across as hard-fast rules dictating intricate paths one must follow, filled with dos and don’ts and dire consequences should one stray. Though I trusted my instincts, one message I took to heart, subconsciously, went something like this: “you’d better like your first book because you’ll be expected – by agents, readers, “the world” – to mine that vein of style, genre, theme for the remainder of your career.” Not sure where I picked up the idea, but by the time I sat down for my second manuscript it was deeply ingrained. So I struggled, desperately seeking to emulate the earnest, heartfelt tone of my first, a book I had loved writing through all its hurdles and uncertainty. And nothing came. Oh, I dabbled plenty. I had a promising premise, one that made people sit up. With it in mind, I wrote pages of character sketches, glimmers of scenes, lengthy backstory expositions. I researched. I plotted story and character arcs. But I never found the zone; I never grew attached to the characters; I never felt the story in my veins. It wasn’t until I gave into something begun as a random distraction, doodles of a romantic comedy with an outlandish premise, that I found my voice again. Soon, its characters had flooded my consciousness, sharing everything – where they lived, how they loved, what they feared. Now I can’t wait to be with them, devoted to a project far lighter and vastly different from my first. In fact the only constant I see within the two is heart – the one I sense in the story and the one that beats for it in me. Should I ever teach a writing course, that’s a lesson I hope to convey. I’m beginning to believe it’s the only one that matters. Thanks again for your post, Allison. All the best on wherever your muse guides you next. It’s scary to break out of the comfort zone and try a new genre, but I think every writer would benefit from experimentation before settling into one “brand.” It seems like 9 out of 10 young writers start out writing romance (erotica, YA/NA romance, paranormal romance, historical romance, chick lit, or vaguely literary stories that are essentially romance), and 8 of those 9 aren’t suited for it. Then 7 give up writing because they can’t make the romance work and think they have no talent–when they really just need to practice storytelling, develop their voices, and figure out what kind of stories those voices are suited for. I’m currently 1500 words into my tingle. Very early days yet but I just can’t get it out of my head! I’ve read both Mapmaker books now and I love them. I’ve put them away on the shelf for my boys – only 2 and 4 at the moment but I know they’ll love them. Such an uplifting post. Proof positive that listening to your ‘voice’ is more important than trying to fit into the genre-of-the-moment box. And more evidence that we should all listen to our gut. In writing and in life. What a totally inspiring post Allison! I know that YA is very popular at the moment, and I would be totally lost in hat to write, especially as I haven’t had children myself, so not even bedtime story experience. But the MapMaker Chronicles sound fantastic. And I loved how you switched genres and went with what your heart told you. My first novel – unpublished – was a originally a present day tory set in Berkeley CA, and it morphed into a story about jews in Italy in WWII. I knew that was the story I needed to tell. It’s exciting when that happens, but sadly we don’t always get the ‘tingle’ as you put it, nor do we trust our intuition. Good for you on both counts!! Your post made me smile :) It’s so important not to forget what writing is for. And it’s not about ‘market’ or ‘commerce’ or ‘brand’. I write because I love to tell stories, stories that matter to me and that inspire and intrigue the readers. Thanks for reminding this, Alison! Love this post, Allison. Thank you for sharing. The most promising story I’ve ever worked on started with three words from my daughter at a Children’s Book Festival last year. Just three words. Thanks for reminding us that ideas come from everywhere, and won’t always fit into our plans.